Libraries are becoming the academic heart of the campus, supporting social connections, collaborative needs and team projects, along with events for campus and community activities. The central role of computer hardware and software has resulted in a demand for more library computer labs. Anywhere/anytime information access has lessened the need to reference books, so book stacks are being reduced and moved to less prominent locations. Librarians’ roles are changing; they’re instructors, technology advisors, research assistants and collaborators with students and faculty. The library is the academic heart of a school, but just as education is changing, so too is the library. With information available online virtually anytime, housing countless books has become of secondary importance. Today’s library should be a broader and deeper resource than ever, a place where traditional and new knowledge resources, instructors and students converge in an ongoing process of learning, teaching and discovery. It doesn’t require more real estate, but simply rethinking how library space is used. The library’s dramatic shift to a multi-dimensional space hasn’t been easy. For example, in recent decades, growing computer use led libraries to install computer stations, but their haphazard application often placed people in busy corridors with no privacy. 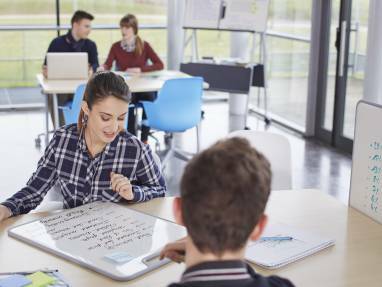 Group work areas were often unintentionally placed next to individual study areas, leaving quiet-seeking students frustrated while student teams searched, often fruitlessly, for collaborative spaces and tools to support group projects. There is a rhythm to an individual’s learning process, and effective learning spaces support this rhythm of learning. Library space must be equally adaptable to the changing needs of students and instructors. A reduced emphasis on housing books frees up real estate for individual and group learning. 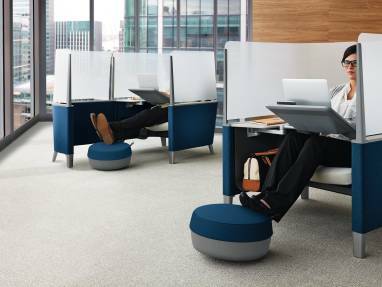 Steelcase research shows that college students tend to work in groups more in the evenings (outside class and work time) and individually or with one other person during mornings and afternoons. Spaces for solo tasks work best early in the day and must be flexible later on for other needs. A palette of place supports the demands on a library today. 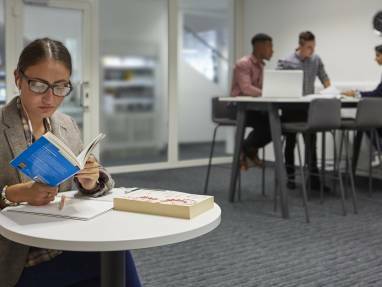 Whether it’s a quiet place for individual study, a space to work on a group project or another location they choose simply to match their need that day for a particular level of quiet or stimulation. Having the choice, and being able to choose, empowers students and teachers and makes them more productive. Like every space on campus, the library now is being rethought and reorganized. 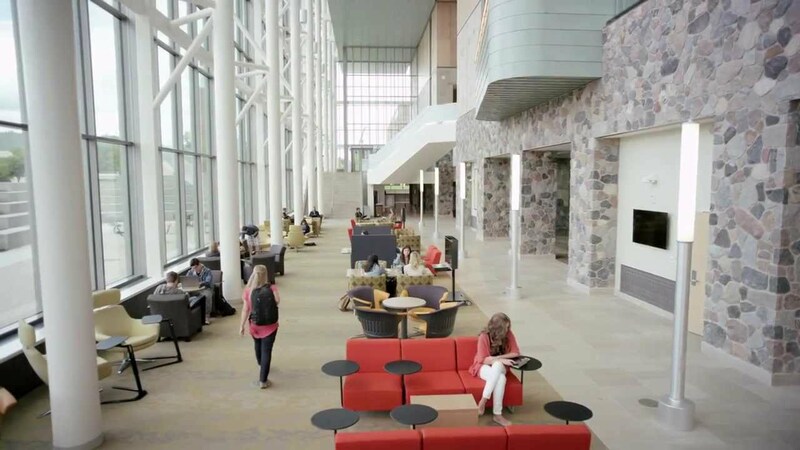 See how Grand Valley State University and Steelcase applied the principles of Active Learning to completely re-imagine the library experience. To better understand the trends, Steelcase WorkSpace futures initiated a major study of libraries at private and public colleges and universities across the U.S., including GVSU. 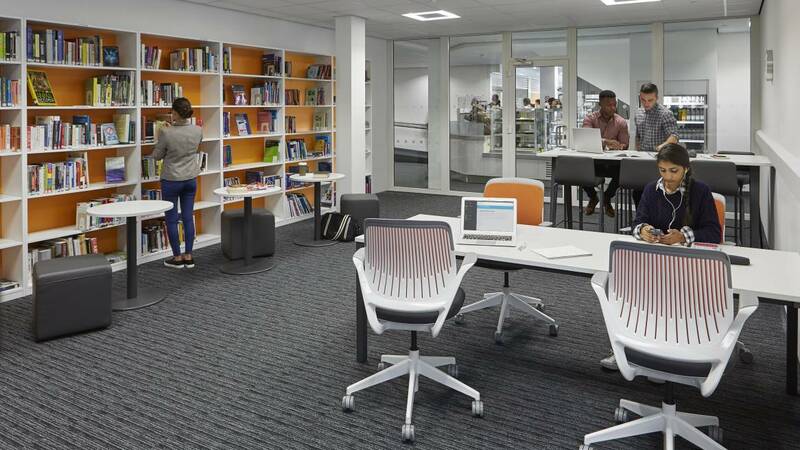 What the Steelcase researchers discovered were major shifts in how the library is being used and a number of opportunities to better leverage space, new technologies, and pedagogies for a new generation of students.